Millions of Pennsylvanians will take to the polls on Tuesday, November 3rd. However, several restrictions quietly passed by former Pennsylvania Governor Tom Corbett and the Republican-controlled legislature in Pennsylvania during Corbett’s lame duck period may keep you from the polls. The restrictions were scheduled to take effect for the first time during the November, 2015 elections. Find out if the below restrictions may effect you! 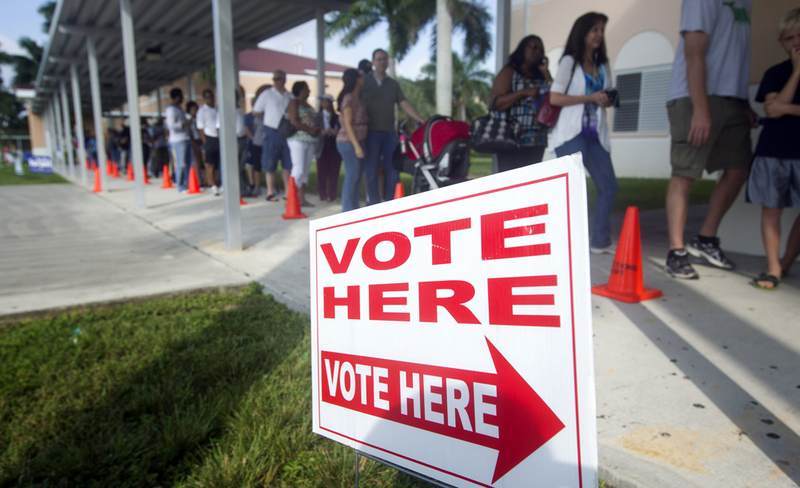 Before leaving for the polls, there are several things you shouldn’t leave at home. Starting tomorrow, one of those things will be your grandfather’s bootstraps! A new restriction intended to protect voting for Real American Families may keep you from the polls if you are not able to produce your grandfather’s bootstraps. If your ancestors were members of the entitlement society, then you may not be entitled to your vote tomorrow. According to new restrictions passed, those who produce the required photo-ID at their polling location will be turned away from the polls if they are less attractive than they were at the time of their ID picture. “We see a lot of people who have gained weight. We see a lot of people who are balding. How are we supposed to know that this is the same person when the picture shows somebody much more attractive at a better time in their lives? It really is a measure of security,” said local election volunteer Danielle Schemetsky. Election officials will be directed to look out for receding hairlines, yellowing of the teeth, bags under the eyes, wrinkling in the forehead area, weight gain, and botched plastic surgeries. Voting isn’t just for people who like the winning candidates. If you’re used to winning every election, you may need to adjust yourself to defeat – if you voted for the winner of the last Mayoral election, you will be sitting this one out. Philadelphia Election Officials confirmed that everybody who voted for Mayor Michael Nutter in 2010 will be barred from voting in any Philadelphia elections. Aimed at fairness, this restriction will stop voters in political minorities from feeling the sharp sting of defeat over and over and over again. A 2012 Study from the Pew Research Center concluded that over 1.8 million dead Americans are still registered to vote! Many counties across the country have found that dead people are still checking into the polls on election day. In an obvious fix to this blatant voter fraud, Pennsylvania election officials will now turn you away from the polls if you, in fact, are dead. “The message we are sending is clear. Voter fraud will not be tolerated in Pennsylvania,” said now-former Governor Tom Corbett. “If you are thinking about going to the polls, and you are no longer among the living, it is time to think again,” he said. Pennsylvania polling locations are finally permitted to reward their regulars. Upon your next vote, you will be receiving a card with one hole punched in it, and 9 holes left to punch. Once you prove your loyalty by voting in 10 elections, you will receive a voucher for 3 free bonus votes that can be used in any election at any time. Voting-lovers better find a place of prominence in your wallet for your Bonus Voting Card. Ah, so it is a vote that ye will seek? Ye shall not vote without trial. Ay, there will be trial! There will be great trial! Securing a vote will take a darg indeed! To vote, ye must first brave the Fires Of The Ballot as they burn with a profound dretch. If The Fires Of The Ballot shall but kiss your skin on the way to further conflict, ye shall encounter the wretched Fanger Of The Booth. Hearing The Fanger’s keak is enough to draw terror from the mind, but ye must remain steady and strike that killbuck by sword until he cackles no more. Do not at any moment be distracted by the smile of the fairface, for she is the Devil’s pawn. Featherheads, hoddypeaks, and whitelivers will not find their votes, nor will they leave with their lives. If you estimate that the aforementioned restrictions will not stand between you and your vote tomorrow, you have just one last question to ask yourself: are you Carly Fiorina? Under validly enacted Pennsylvania voting restrictions, the only eligible voter in the Commonwealth of Pennsylvania is 2016 Republican Presidential Candidate Carly Fiorina. Do not forget about this new policy and show up at the polls unprepared. All State Election Officers and volunteers have been instructed to make sure that each and every voter who votes at their specific locations is former Hewlett-Packard CEO Carly Fiorina. Before you leave your house, check and double-check that you are indeed Carly Fiorina or you will just be wasting gas.